Best costume party in NWA! Halloween in the Hollow, Oct 27 @ Crystal Bridges. Tickets available now! Foghorn’s is giving away a 55” TV every Thursday during football season this year! It’s Touchdown Thursdays! Grub’s has $6 chicken chunks and happy hour until 9 a.m. during every NFL game! The Pumpkin Ale is back! 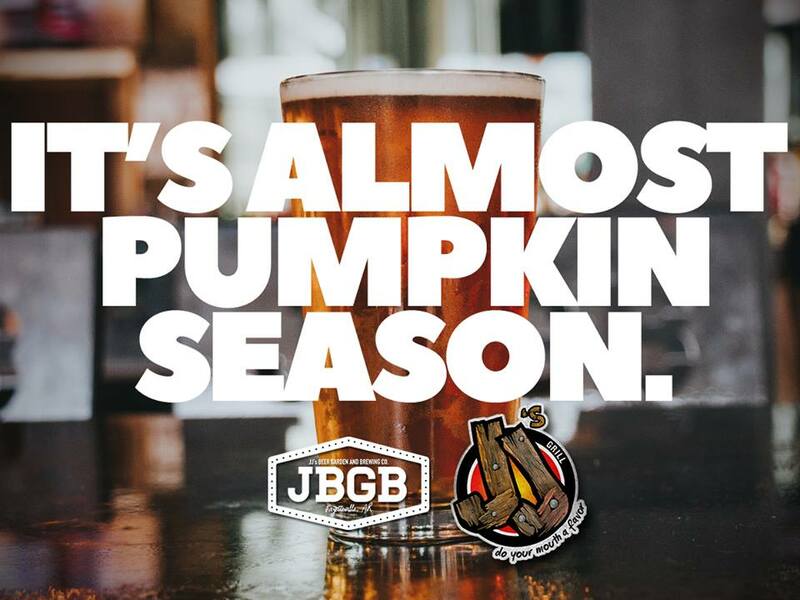 Try one at any JJ’s Grill location and JBGB. Maxine’s will re-open after their annual BBB hiatus this week. ONF has fun classes coming up on Jams and Jellies, National Coffee Day, and more! TheatreSquared’s next show, Skeleton Crew, opens Oct. 10. Do you have tickets yet? Walton Arts Center’s Broadway Series includes Jersey Boys, School of Rock, Waitress, Cats, Les Mis, and more. Get tickets. Omelet sandwich from Southern Food Co.
Tenderloin burger, Fried Shrimp Po’ Boy, Vegan B.L.T. & T. Bordinos has something for everyone on their lunch menu. Get $2 slices for lunch during $2 Tuesdays at Damgoode Pies! Get an entire large pizza every day for just $4.99 at Eureka Pizza. It’s ready now, too! Got a lot of folks to feed? Pick up a Fiesta Pack of build-your-own tacos from Flying Burrito Co! You feel that chill in the air? That means Beer Cheese Soup is back at Hugo’s. If you thought the weekends couldn’t get any better, now you can get BBQ cheese fries for just $5 every Saturday at Lucky Luke’s. Looking for a delicious breakfast fast? Check out the grab-and-go items at Ozark Natural Foods! Penguin Ed’s on Mission Boulevard serves a great breakfast every Saturday and Sunday from 7 a.m. until 11 a.m.! It’s patio season, and one of the best in town for dinner and drinks is at Sassy’s Red House on College Avenue. Two words. Omelette. Sandwich. 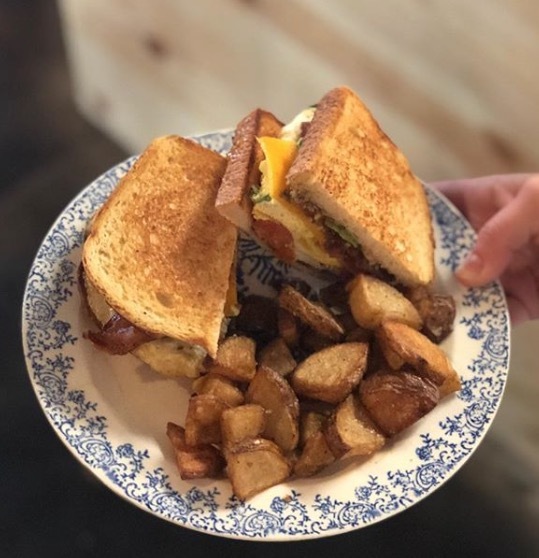 You’ll find that and more on the brunch menu at the awesome Southern Food Co! Students and teachers get 20% off every Tuesday at Slim Chickens! K-College! Healthy food, on the go? Just swing through the drive-thru at Taziki’s! Thursdays are martini night at Wasabi, featuring music by DJs E-Yo and Baby Armie, and $5 martinis! Draft beers and wine are $2 off, and garlic parmesan breadsticks are $3 daily for happy hour from 2-6 p.m. at Wood Stone! Austin Vision Care has a new home near downtown Fayetteville. Is it time for an eye appointment? Mark your calendar for a fall open house at Premier Dermatology in Bentonville. Giveaways, demos, and more. Coming up Oct. 18! Did you know Beavers & Broomfield offers and accepts Care Credit? Apply between October 1st and December 31st and get a free Fitbit through Care Credit! Call today for more info! Mark your calendar for an evening of food & wine, giveaways and more during Washington Regional’s Focus On You: Girls Night Out! Need computer help? 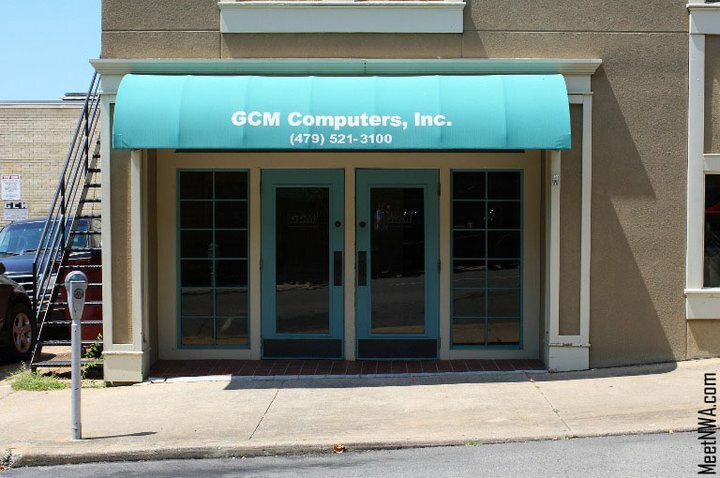 Call the locals at GCM Computers. The new Prairie Street Bar & Tap is open at Specialized’s 495 Prairie building. Apartments upstairs are now available, too! Mount Sequoyah living at its finest. Check out this one-of-a-kind new listing from Flyer Homes. Open a First Savers account at FNB NWA for your little one, and watch their money grow. 2.5% interest rate! Details. UARK Federal Credit Union just broke ground on their MLK location! Look for it to open in about six months! October is Subaru Loves Pets month and Adventure Subaru is taking new pet supply donations for our local shelter all month. We’re also hosting an adoption event on October 27th at the Washington County Animal Shelter. Does your pharmacy deliver? Collier Drug Stores does. For free! Fall is here, and with it come plenty of reasons to enjoy the outdoors. Fayettechill has your gear for all those occasions! Something Urban is having a shoe sale! Stop by for 60% off shoes in-store this week! Who is ready for Halloween? Riffraff is. Check out their new line of tees! Underwood’s has been Fayetteville’s jeweler for more than 60 years! Learn more about their long history as a local company.